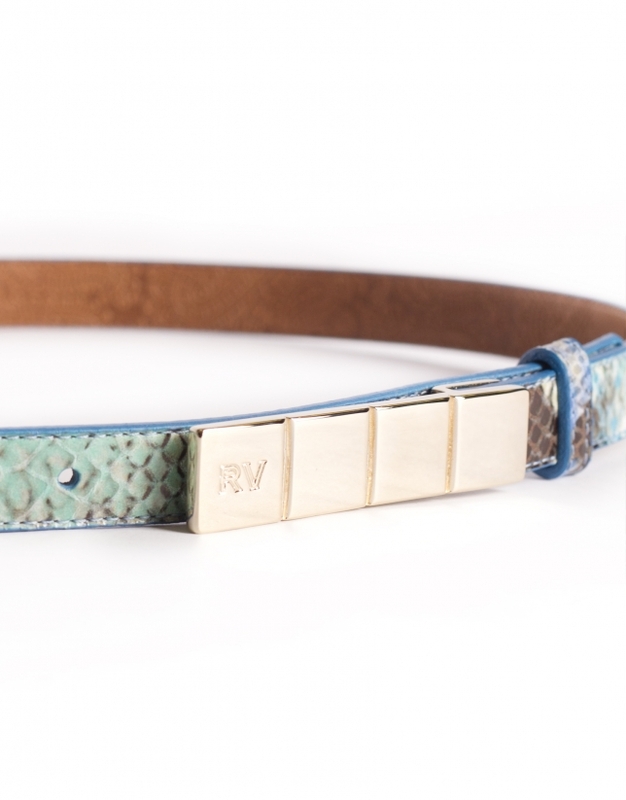 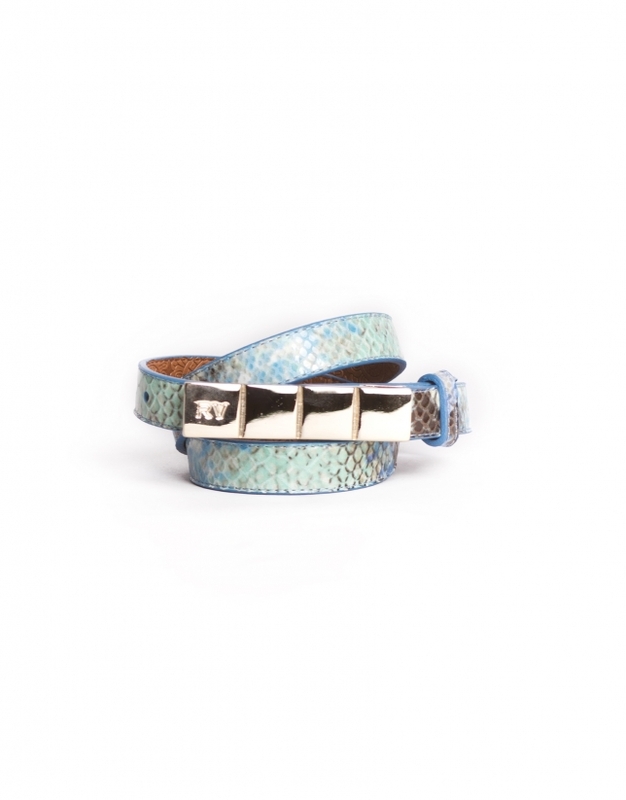 Snake-skin embossed leather belt in blue tones. 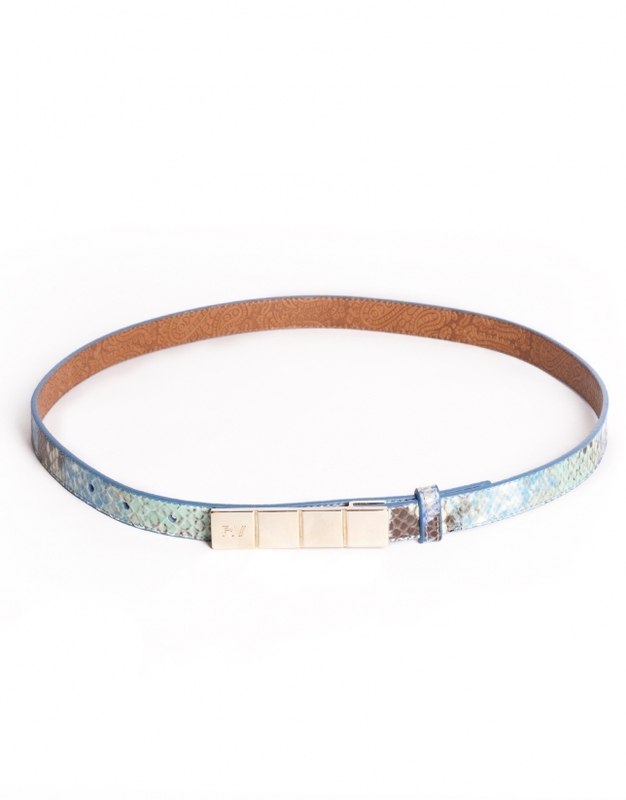 Light gold buckle with mosaic and logo. 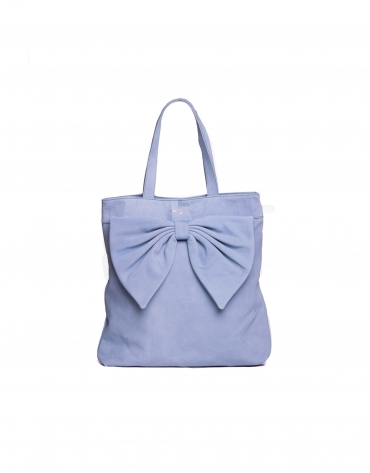 Width:2cm.